GREEN FILTER There are 9 products. 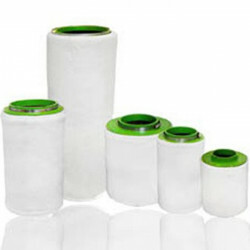 Check out our selection of carbon filters Green Filter. Ultra light, they are designed and manufactured by a French brand : the champion automotive filter Peugeot WRC since 2010, they are ideal for periods of flowering, when the smells become more important. 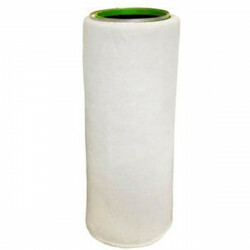 With concepts that are very light and practical which appeals by its practicality, these carbon filters have capacities far above the average, their effect will retain the odors from your crops interior. Our kits filters of high quality are based on a double structure mesh aluminum and a coating of elastomer with its clamp, to completely remove the broadcasts of odors, they are provided with a pre-filter in place that is also machine washable in case of soiling (pollution, pollen, dust, etc) to 30 degrees, with the autonomy of one year, and the more these filters are a safe bet for the gardener in grass or the farmer confirmed, these are filters of competition that will delight by their great accessibility. However, it is necessary to use these filters in maintaining a climate between 50 and 60% humidity, in fact the filters clog up beyond 70% humidity. 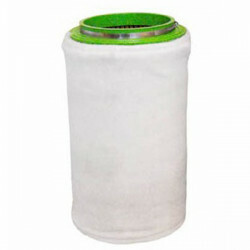 Provided with dust filter they will give you performance to match your requirements.